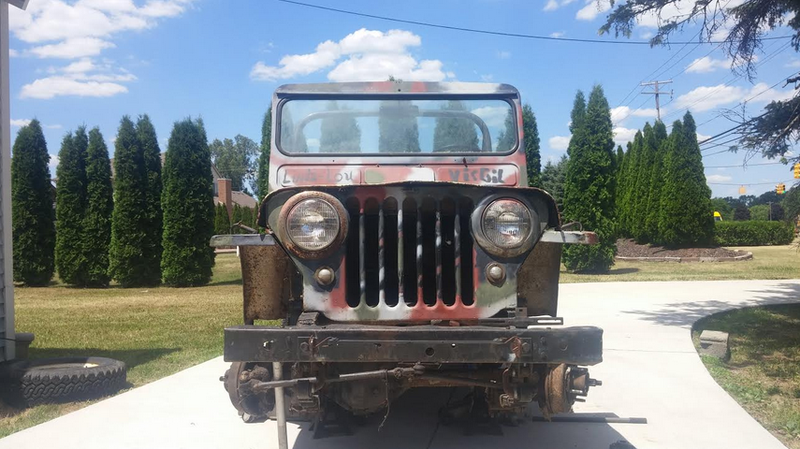 My Willys CJ-2A project has commenced. And while I’ve already shown its copious flaws in my intro post, now it’s time for an in-depth look. If there’s anything you’d like to see, hop on FB Live and start commenting! Just don’t say anything mean about the Willys. He’s a bit self conscious, especially about his welded body patches. I’ve got the wheels off the CJ-2A right now, as I’m trying to get the brakes all fixed up (they don’t work at all right now). So yes, I’ve got a rusty 1948 Willys on jack stands in my driveway right now.